[PDF] Private Equity: Fund Types, Risks and Returns, and Regulation | Free eBooks Download - EBOOKEE! 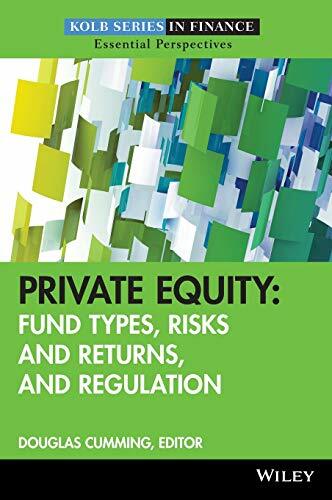 Description: A comprehensive look at the private equity arena With private equity differing from other asset classes, it requires a whole new approach for those trained in more traditional investments such as stocks and bonds. But with the right guidance, you can gain a firm understanding of everything private equity has to offer. This reliable resource provides a comprehensive view of private equity by describing the current state of research and best practices in this arena. Issues addressed include the structure of private equity funds and fundraising, the financial and real returns of private equity, and the structure of private equity investments with investees, to name a few. * Discusses the role of private equity in today's financial environment * Provides international perspectives on private equity * Details the regulation of private equity markets Filled with in-depth insights and expert advice, this book will provide you with a better understanding of private equity structures and put you in a better position to measure and analyze their performance. Private equity differs from other asset classes, requiring a whole new approach and perspective. But with the right guidance, you can quickly become familiar with everything private equity has to offer. If you want to understand private equity from some of the leading practitioners and academics in this field, then Private Equityâ€”part of the Robert W. Kolb Series in Financeâ€”is the book for you. Filled with inâ€“depth insights and practical advice, this reliable resource provides you with a comprehensive view of private equity by detailing the current state of research in this area as well as discussing the way the market works. Page by page, it addresses the: * Structure of private equity funds and fundraising * Structure of private equity investments with investees * Financial and real returns to private equity * International perspectives on private equity and regulation of private equity markets Organized into four informative parts, Private Equity skillfully covers some of the most essential elements of this discipline and will put you in a better position to benefit from some of the most recent trends in this industry. With each contributor bringing their own unique experiences to the private equity process, this book distills the knowledge, skills, and abilities you need to succeed in today?s dynamic financial environment. Private Equity contains the latest information from some of the leading practitioners and academics in this field. With this book as your guide, you?ll gain a firm understanding of the issues surrounding private equity and what it will take to make it work for you. No comments for "[PDF] Private Equity: Fund Types, Risks and Returns, and Regulation".